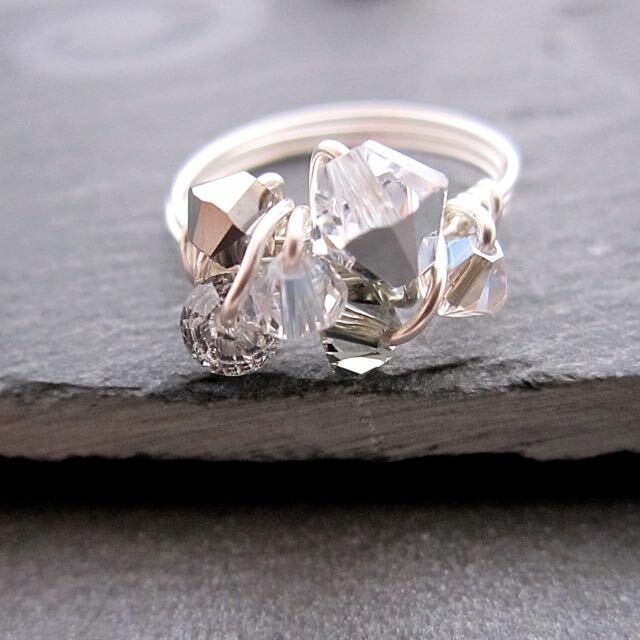 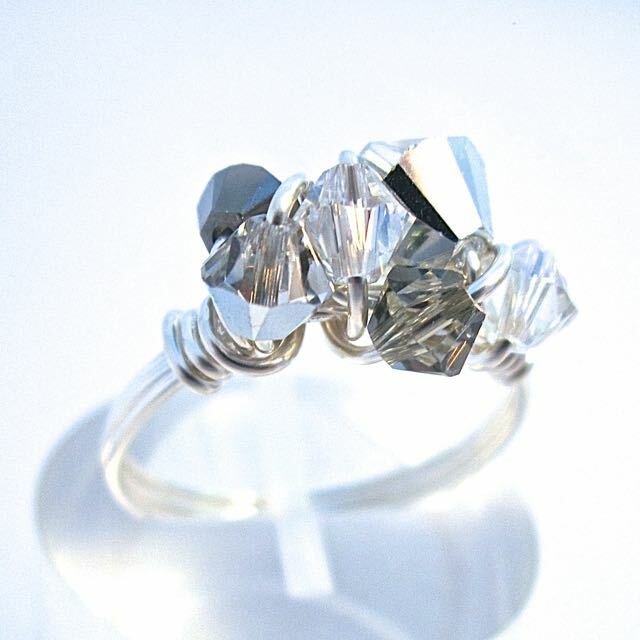 This Ring is made from sterling silver and a selection of 6 silver, grey and clear Swarovski crystals clustered together. It is dazzling and sparkly, the perfect accessory for day or night. MADE TO ORDER – The Silver Sparkle Ring is custom made to order. 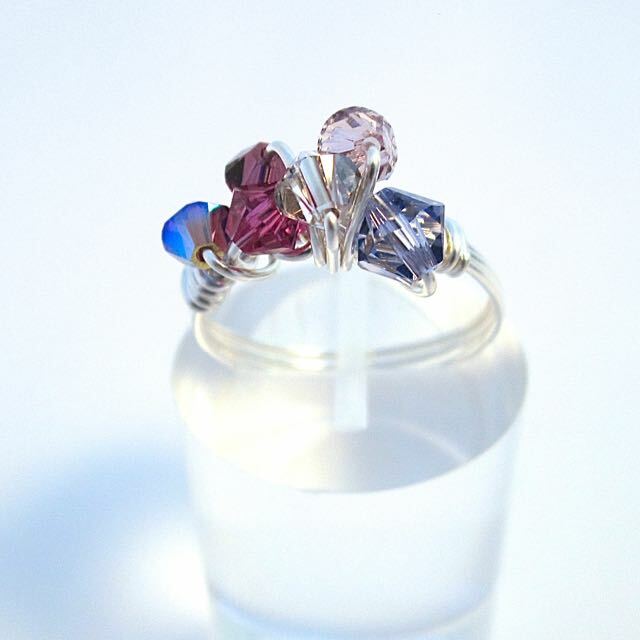 Please select your ring size if known, or you can order a small, medium or large. 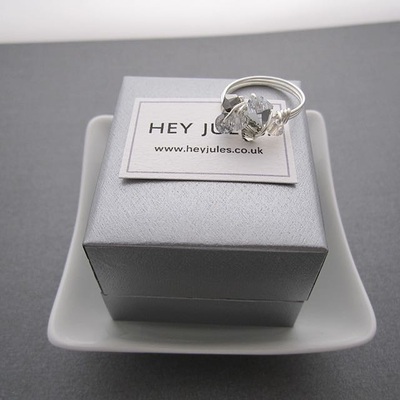 DIMENSIONS – Crystals used range from 4mm-6mm. Design along the band measures approximately 15-20mm. 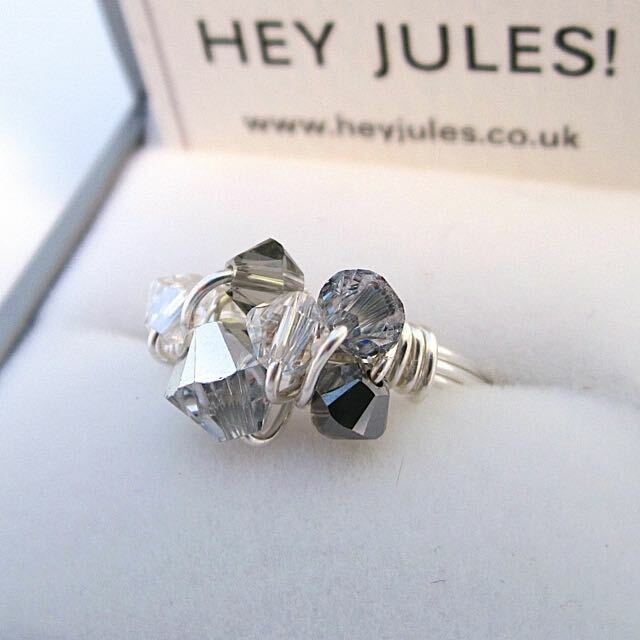 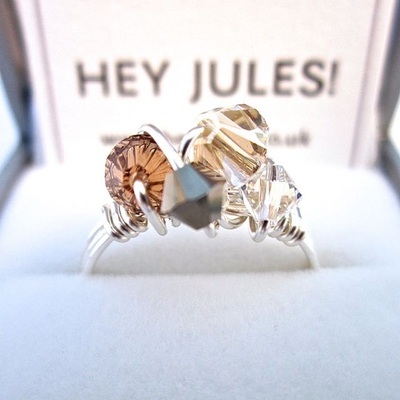 This Ring is made from sterling silver and a selection of 5 gold, grey and clear toned Swarovski crystals clustered together. 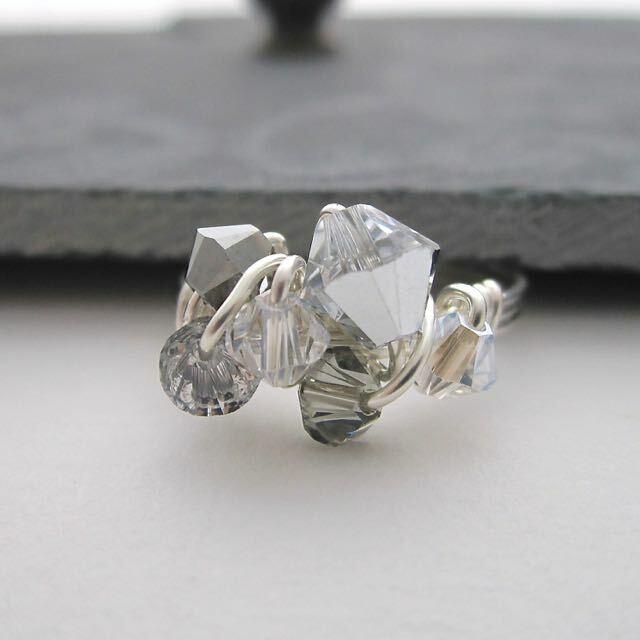 Its is dazzling and sparkly, the perfect accessory for day or night. 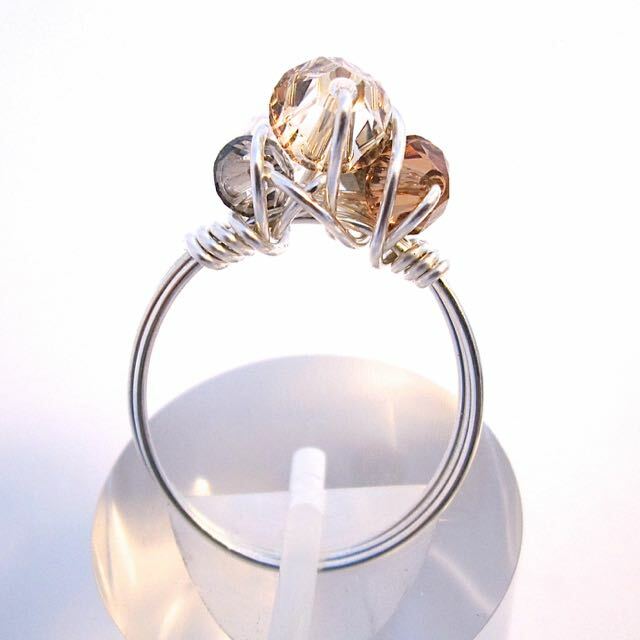 MADE TO ORDER – The Golden Shadow Sparkle Ring is custom made to order. 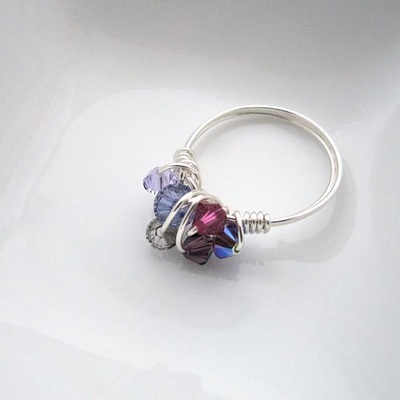 Please state your ring size if known, or you can order a small, medium or large ring. 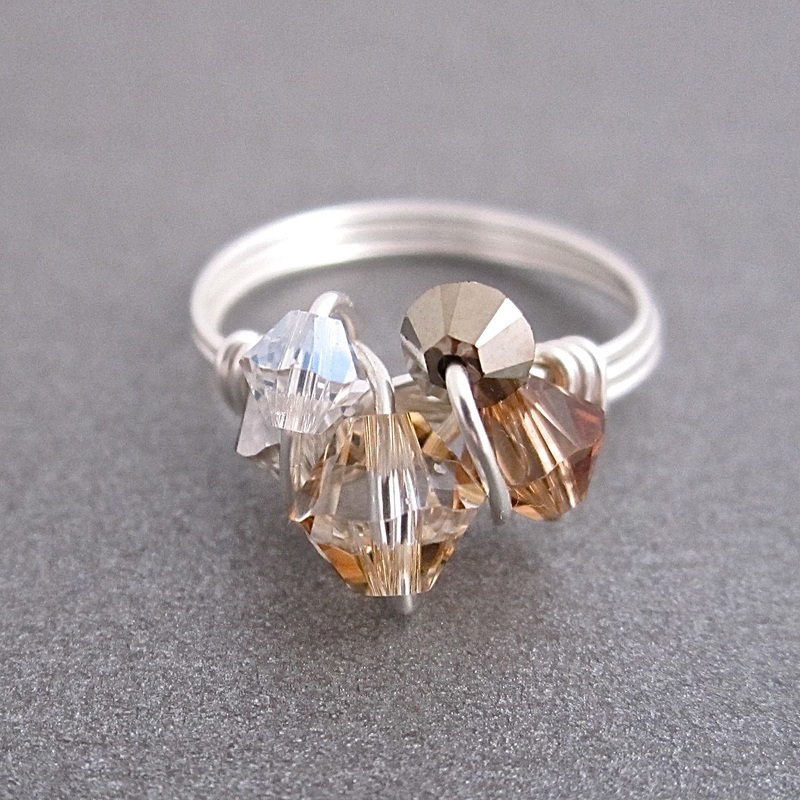 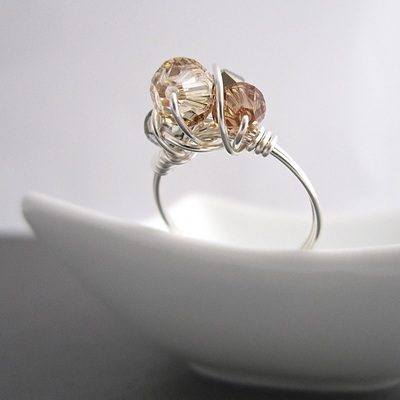 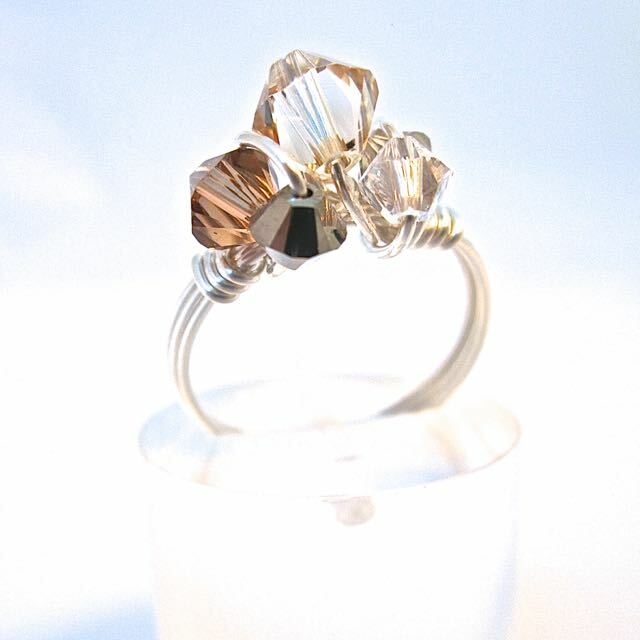 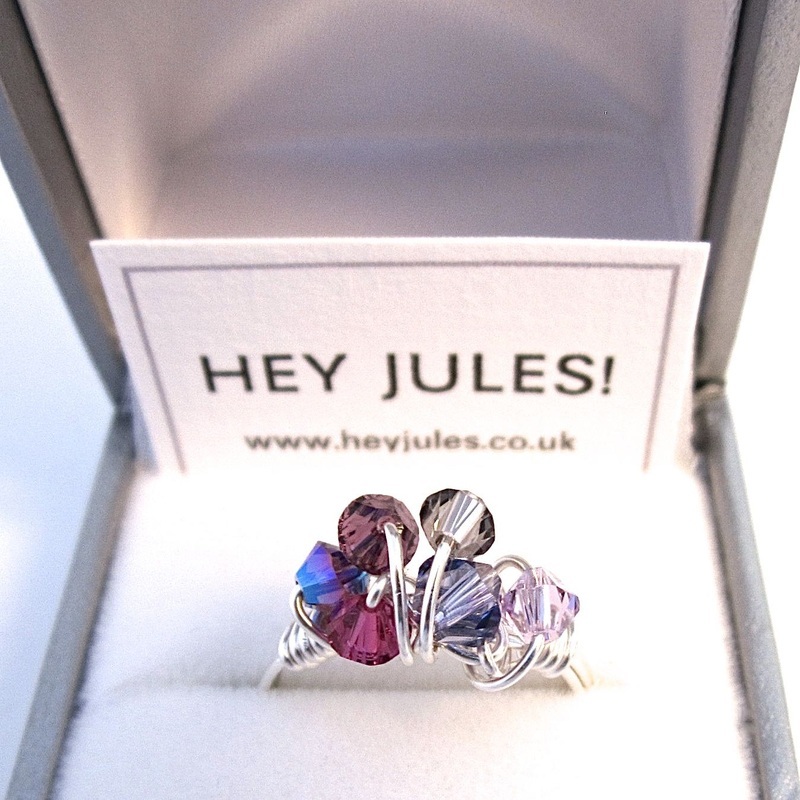 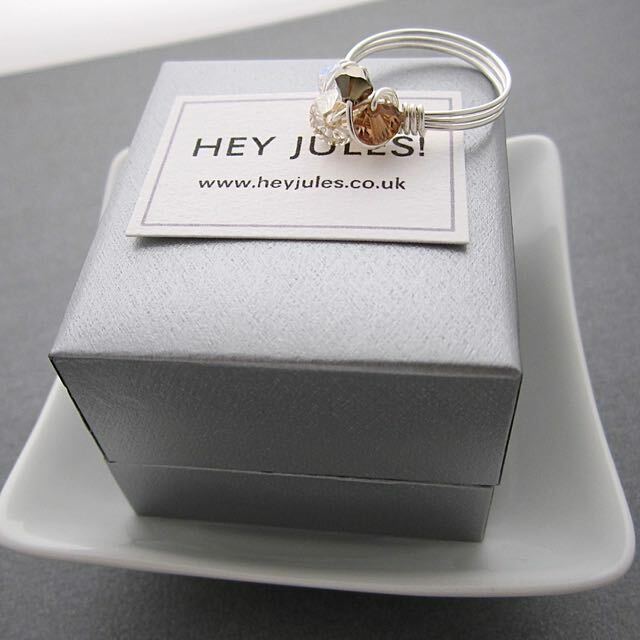 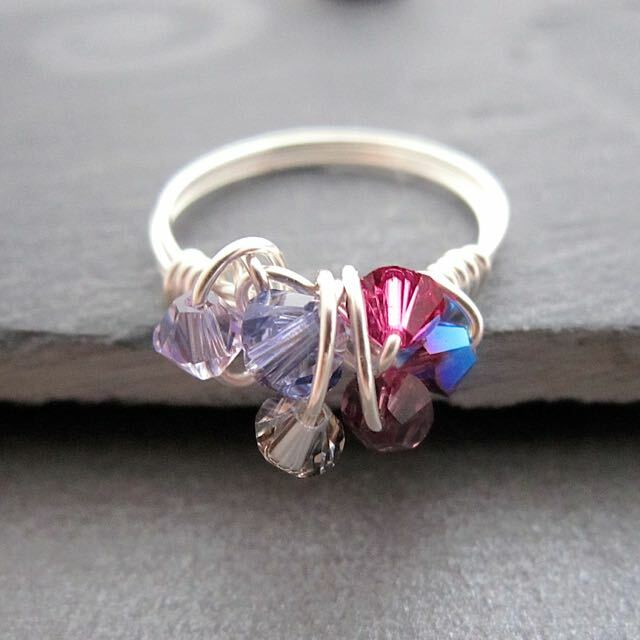 This Ring is made from sterling silver and a selection of 5 or 6 Swarovski crystals clustered together. 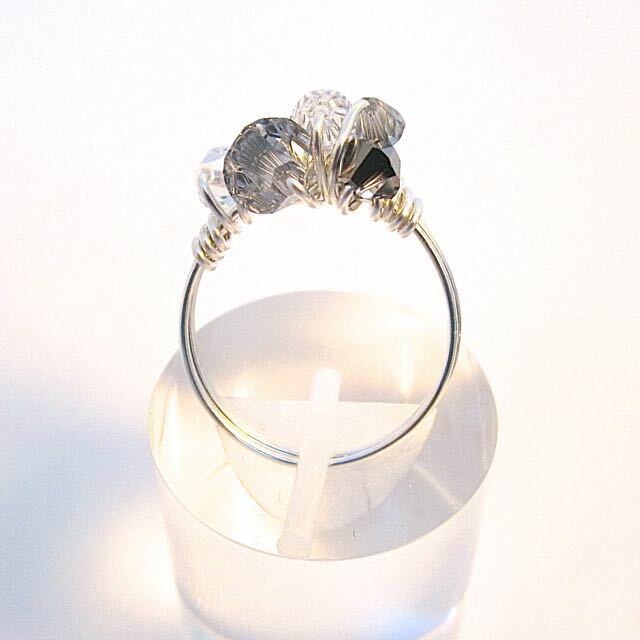 Its is dazzling and sparkly, the perfect accessory for day or night. 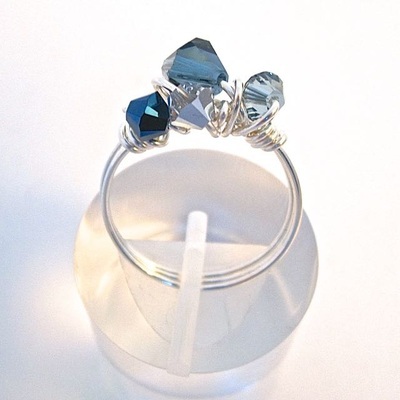 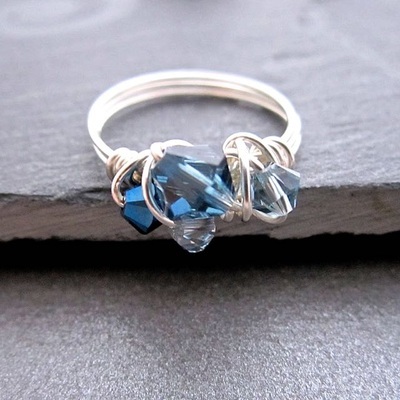 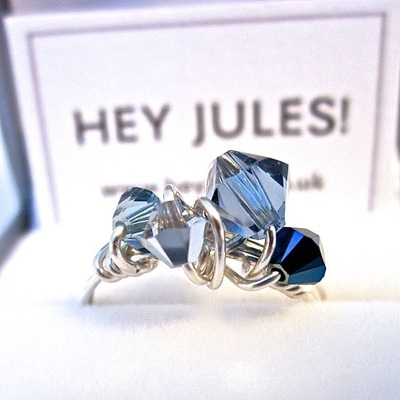 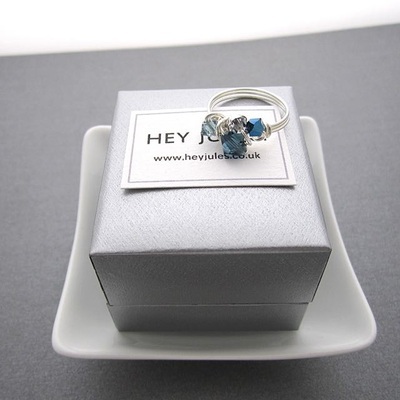 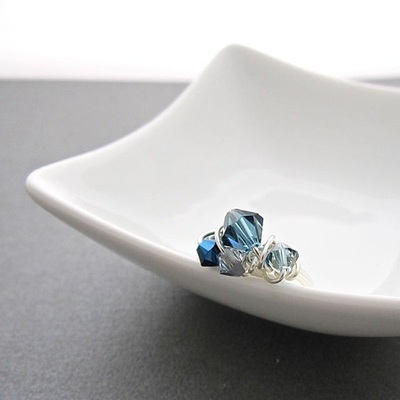 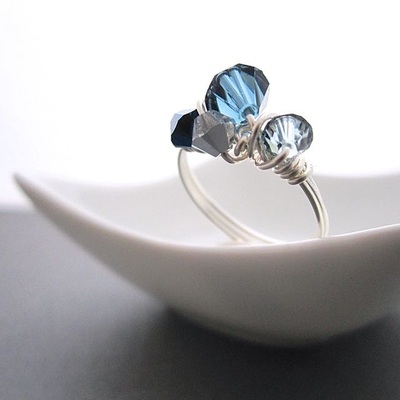 This Ring is made from sterling silver and a selection of 5 blue and grey Swarovski crystals clustered together. Its is dazzling and sparkly, and is the perfect accessory for day or night. 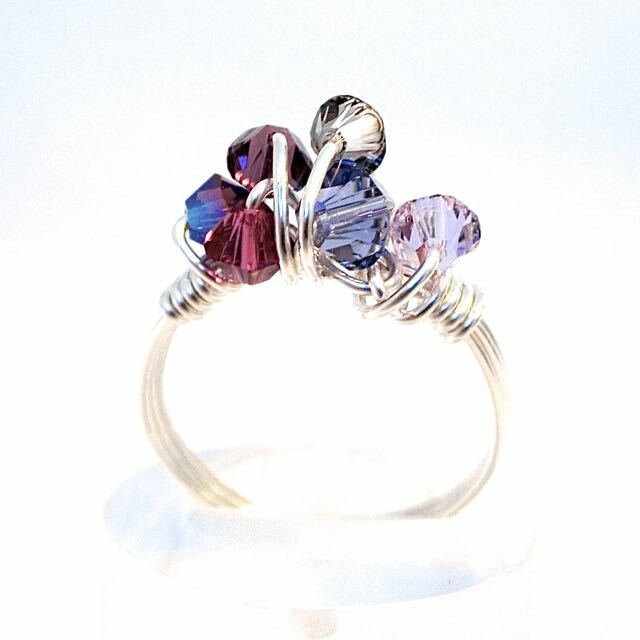 MADE TO ORDER – The Denim Mix Sparkle Ring is custom made to order. Please state your ring size if known, else you can order a small, medium or large.